This article will be going over enabling analog video channels within the GeoVision Multicam DVR software. Below is a reference image that shows what it will look like on the GeoVision console if the video inputs on your DVR card are active vs inactive. 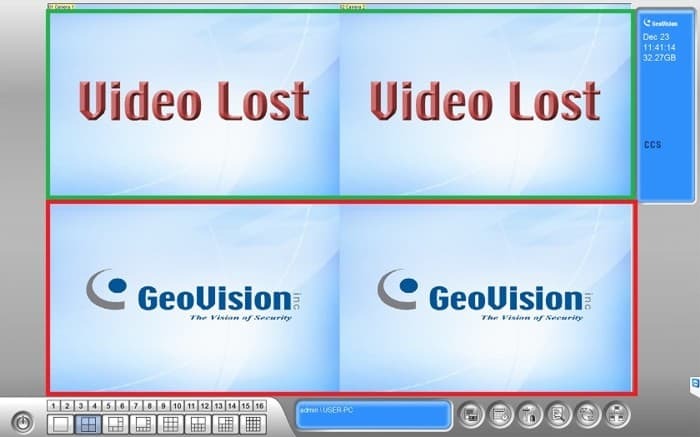 The top two boxes show video loss which indicates the channels are enabled / active in the GeoVision console, however, no cameras are plugged in. The bottom two boxes show the GeoVision splash screen which indicates that the video channel is not active in the GeoVision setup. 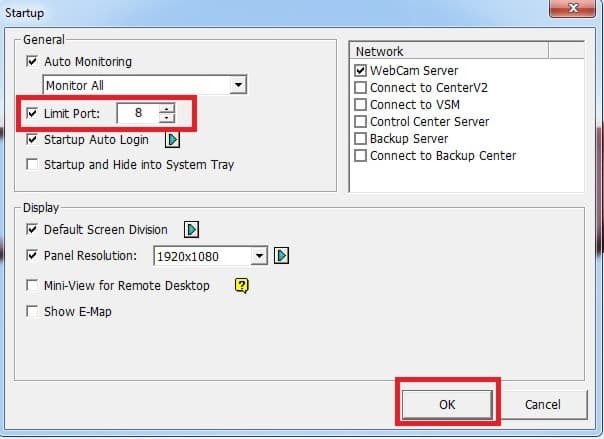 To activate the channels in the GeoVision Multicam DVR software follow the below instructions. 1. Make sure you are logged into the GV system as an admin / supervisor account. If the Boxes in the above image are greyed out please proceed with the below instructions. 4. 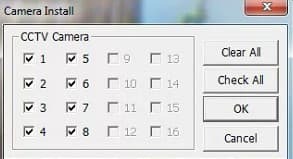 Restart the GeoVision Multicam software for the settings to take effect.